This past weekend was filled with lots of emotion—both tears and laughter. In the midst of sadness, there was rejoicing. We had our reunion-celebration this last weekend, June 20-22. People had the opportunity to share some testimony, as we highlighted specific areas of Rainbow Village's ministry over the past 23 years. It was a good time. A time of remembering, affirming, and closure for those gathered. The first night was an overview of Rainbow's history where some of our missionary staff shared important highlights from their point of view. Then the woman who helped us establish our process for adoptions shared, along with some sharing from adoptive families and those adopted. The Filipino staff got to share what was on their heart, and got to see some of the fruit of their labor all grown up. My daughter closed Saturday evening by sharing an overview and highlights from our restoration program for abused girls. Some of them shared also, so you can imagine how emotional that was. Sunday morning was a time of worship with our international-Filipino praise band. It was sweet seeing these who had come to Rainbow as children, now leading as young adults. I also brought a short message based on Ecclesiastes 3:1-8, 11, 14. The gist of it follows. Life on this earth is neither a random string of things that just happen, nor a fixed chain of events sealed by fate. Each person has free will and yet, God is sovereign over all. One person's free will can be exercised at the cost of another's—in the form of abuse, violence, and even slavery. This is where ministries, agencies, and NGO's like Rainbow come in. We are God's hands of restoration. RVM is one small part of a much larger network of people who bring restoration—to heal those who are abused, and to bring hope in the midst of despair. The great and wise King Solomon understood this. His poetic expression reminds us of the ebb and flow of life's events on earth. Life is not random. There is a season and a purpose for everything within God's creation. God called us—our family and others—from America to the Philippines for a specific purpose within a season of life. It began officially in 1991, but God stirred our hearts for this in 1988. It was a combination of things that stirred our hearts. We were foster parents of two Filipina sisters for several months, along with other foster children. I came to the Philippines for a short-term mission to teach with the ministry I would join two years later. My friend with that ministry came to the US on a furlough. While visiting with us, his wife shared her heart with Susan. They adopted an abandoned child, Aaron. His story stirred her heart with a burden and vision for an orphanage for abandoned children. Our role in God's purpose ends this year, but God's purpose continues. 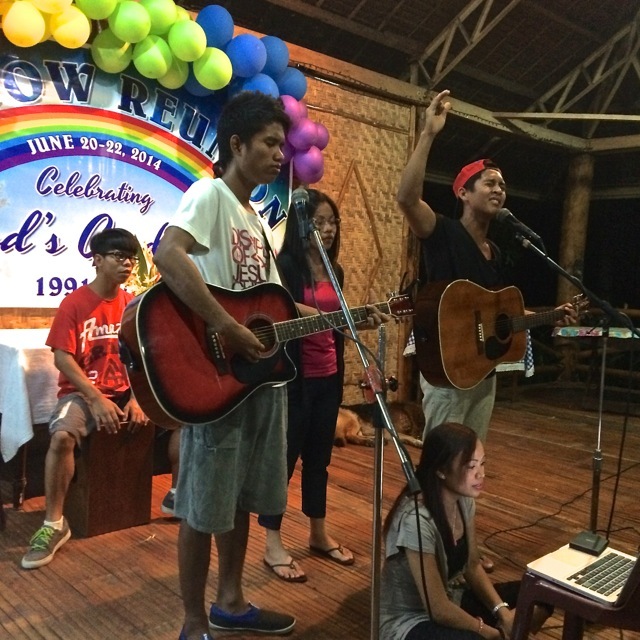 Susan and I, our family, many missionary staff, and our Filipino staff were not the central focus of Rainbow Village. We were partners together with God. The central focus was always the babies, children and young women we cared for, whom God brought to us. Their life stories continue on as a reminder of God's kindness and care—His love. We saw many children reunited with their families, or placed in new families all over the world. Young women experienced restoration, and some started their own families. Will we miss the ministry of Rainbow and this place? And, our friends and extended Rainbow family? Sure! But as we look over the last several months, we see Rainbow's season and purpose is completed. More work is to be done, but others will do it. The seasons and cycles of life continue on. When we look at the bigger picture, as Solomon did, we see our place and purpose within it all. In verse 11 (Eccl 3:11), We are reminded that God makes every thing beautiful in its time. This is according to His time, not our time. We may not understand everything, but it's because we only see our part within the larger picture. We only see this within our season of life. Whatever God does endures. Though things may appear chaotic and random around us, God's purpose prevails. We need to see this bigger picture and respect Him. If we do not, our life will be filled with frustration and emptiness. But when we see our role and purpose within God's greater plan, and understand it as one season among a series of seasons throughout the ages—we experience fulfillment. Do you know your place within God's plan? If not, seek Him and ask Him to show it to you. He will if you're heart is sincere. He's given us a way to know this and to know Him, thru His Son, Jesus. When one season ends, another begins. Our responsibility is to find our place in God's purpose within each season. Rainbow's season has come to an end. I don't look forward to the final closing of the gate. I will miss this beautiful place and the life we've been blessed to share in it with others. But I look forward in faith, because I've seen what God let us be a part of these past 23 years at Rainbow. I hope you can look forward in faith also. My prayer is that you will always seek God through His Son Jesus, to know your place in His family and your purpose within His plan for your life. There you have it. It was a full weekend, and it went too fast. It was a time for tears, laughter, and rejoicing. We're thankful to have shared this time with those who were able to join us. And again, we're thankful for all those who served and supported Rainbow over the past 23 years. Newer PostDo We Teach Like Pharisees or Like Jesus? Older PostDoes Anybody Really Understand?